O.J. 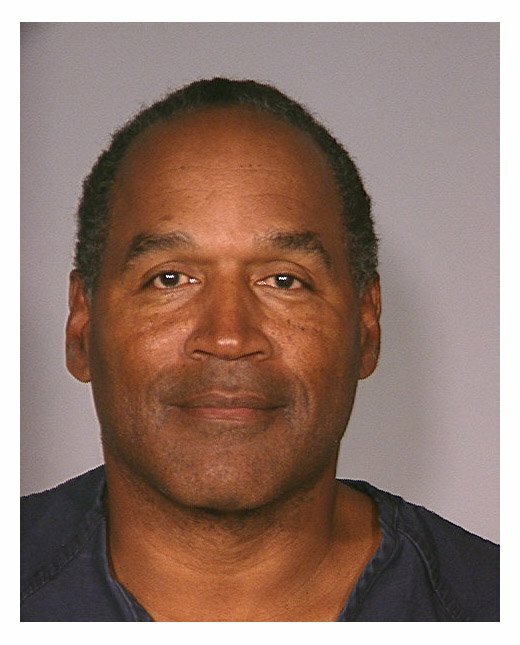 Simpson was arrested in September 2007 for the alleged armed robbery of a memorabilia dealer in a Las Vegas hotel room. Simpson, 60, was booked into the Clark County Detention Center, where the above mug shot was taken. According to investigators, Simpson and several cohorts burst into a room at the Palace Station hotel and confiscated collectibles that Simpson claims were stolen from him (the items were being offered for sale by a dealer with whom Simpson has had prior business dealings). The former football star was charged with six felonies, including armed robbery, assault with a deadly weapon, and conspiracy.